The day began with a trip to the Guardian Building, originally known as The Union Trust Company, it opened in 1929. Designed by Wirt Rowland and costing $12 million dollars this structure is a true work of art. With it’s combination of exotic marble, Pewabic and Rookwood tile, Monel metal and stone it is a true Art Deco Masterpiece. We stopped in at Pure Detroit to have a look around, we have been regular patrons since the opening of their very first store back in 1998. 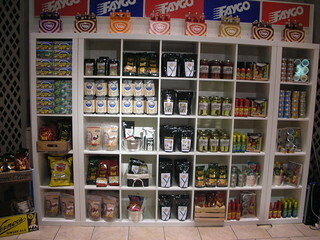 Owners Shawn and Kevin are dedicated to Detroit, and that is clearly reflected in their stores. 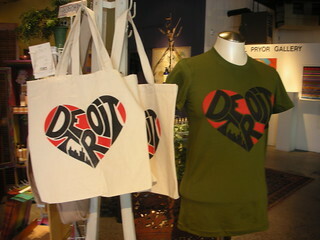 The products they sell all represent the city, everything from T-shirts and hats to local food products, books and gifts. We then proceeded to have a coffee in the cafe, this is truly one of our favorite buildings, I never tire of staring at the intricate Aztec design, but more on that another time. 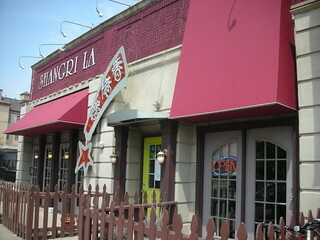 Our minds were set on lunch at Mid-town Shangri- La, a fabulous Chinese restaurant on Cass near Wayne State’s Old Main. 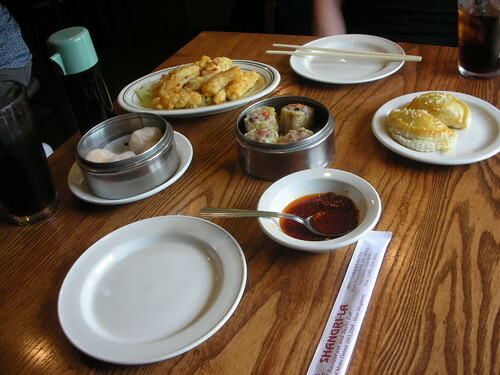 We’ve had the Chinese, it is very good, but we come for the Dim Sum, you MUST try it sometime. I had never tried it before I had it here, so I wasn’t sure what to expect. Basically it is small portions of food served in steamer baskets or on small plates, think appetizers, lots to choose from here. Depending on when you arrive, they may have the Dim Sum cart from which you can select the dishes you’d like, or they can be made to order. I would highly recommend the Shrimp Kau, fresh shrimp steamed in a soft noodle like wrapper, so simple, and so delicious. We also had the Curry Chicken Pastry, so good, I’ve never had such flaky pastry before, the Deep Fried Squid with Spicy Salt, I actually crave this dish, the most tender squid you will ever eat, and of course the Shiu Mai. A friend got this one day when we had lunch together, and it’s been a staple for us ever since. I can’t forget the Bubble Tea, it may look strange if you’ve not had it before, there are large dark colored Tapioca balls sitting in the bottom just waiting to be sucked up the oversized straw. Be sure to chew them! The Mango is my favorite. There’s a great little up and coming district over on W Willis, also in Midtown, where Avalon International Breads resides. This is one of those places that once you discover it, you’ll wonder how you lived without it. Walk in the door and enjoy the scent of fresh baked goods, the industrial looking space is warmed up with walls painted the golden color of crusty bread. 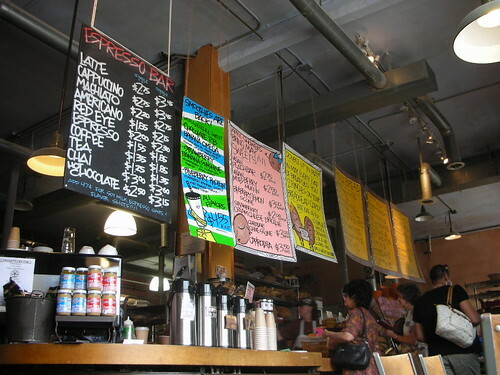 Large menu signs are suspended from the ceiling, and shelves of large chrome racks are filledwith items fresh from the oven; focaccia, loaves of Motown Multigrain, Poletown Rye, Greektown Olive and baguettes. 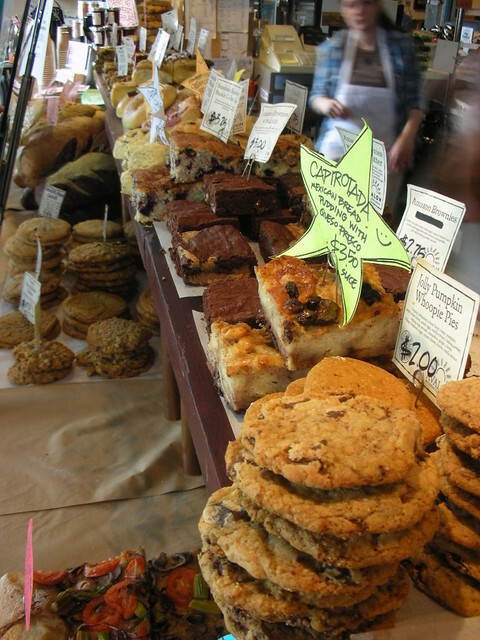 The mouthwatering counter display of cookies, scones, Amazing Amazon Brownies, and Seriously Sticky Buns are all tempting, and make it nearly impossible to decide. Coffee, espresso drinks, hot chocolate, and smoothies are also available. Avalon has grown through the years, they also offer breakfast, homemade soup, grab and go sandwiches and salads. There are a few tables and limited counter space inside, when weather permits the patio offers multiple tables for outdoor dining. Everything is made with organic flour and tastes divine. Joining Avalon on W Willis is Goodwells Natural Food Market, with fresh organic produce, pre-made salads and sandwiches, beverages, and supplements, it is a nice addition to the neighborhood. 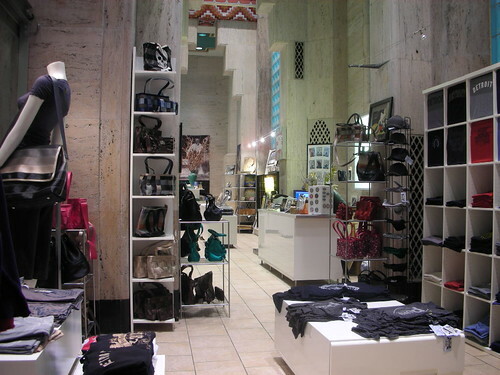 Next door is Flo Boutique offering womens clothing and accessories. On the corner is Spiral Collective, they sell works by local artists, and have a lovely selection of gifts, and books, Del Pryor gallery has a space inside too. 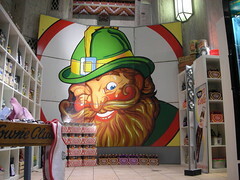 I love to browse in this store, the selection of items is always changing, and is always top quality merchandise. 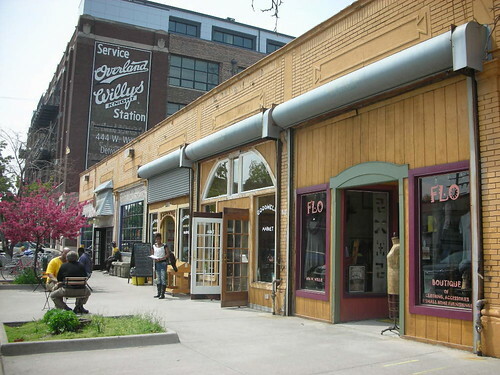 Rounding out the district is the Willys Overland Loft project. The historic building has been converted to beautiful lofts, exposed brick and excellent views of the city come standard. We were lucky enough to get a personal tour of several different floor plans, 15 of the units have been sold so far. Right around the corner on Cass is the Curl Up & Dye Salon offering all types of hair and nail services, this part of Midtown continues to thrive, that’s good to see.